Think of it this way: Motherhood is like pottery. First, the potter throws a lump of clay on the table several times. This rids the clay of the air bubbles trapped inside. If the potter doesn’t do this, the clay will crack when it’s put into the hot kiln later on. In the same way, when you start off as a mom, you’re like a lump of clay. You’re raw material that needs to be molded. Remember your purpose as a mom. It’s not to be popular with your children; it’s to nurture them so they’ll be independent, responsible and resilient. As a mom, what matter is how you go through the fury of the fire. With the right mindset, you’ll become a person of greater patience, wisdom and love. I thoroughly enjoyed the read. The experience was akin to sitting down and enjoying a cup of coffee with a mentor figure, listening attentively as she downloads her years of parenting wisdom into my life. In her book, she admits that even after 37 years of motherhood, her goal remains the same: To strengthen the bond with her children. Wow…I have been a mother for eight years. In another 30 years, I hope to be reminded of what she said. 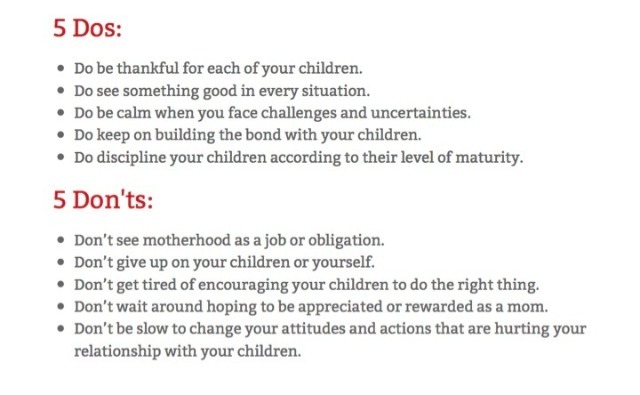 Even in different seasons of parenting, the challenge of motherhood remains constant – to love our children as they are. 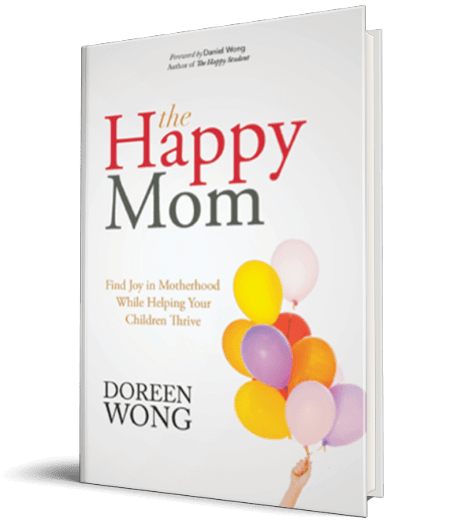 Here are 5 of my favourite aspects of The Happy Mom book. Do you fill your children’s lives with the things that you missed in your own childhood, whether your children want them or not? What will your children remember you for? Are you driven by self-centred ambitions? Or are you driven by a desire to make a difference in your family and the world? She offers plenty of actionable steps that we can apply, such as using positive language in the home, declaring powerful words over our children’s lives, and guiding them to embrace timeless values and principles. In achievement, be yourself – Encourage your children to be the best versions of themselves. In behaviour, act the same even when no one’s watching – Teach your children the importance of integrity, authenticity and consistency. In education, love learning – Help them to think through the what, how and why of new ideas. She reminds me about the importance of trust, specifically about trusting our kids. I think trust is one of the things we often forget we can give our children especially in today’s context where the tendency is to hover and micro-manage life for our kids. We need to give them the practice in exercising their judgment, to trust them to make small decisions, gradually and age-appropriately, but steadily. She offers helpful dos and don’ts in a chapter-by-chapter summary of the book. Here is an example. My conclusion: this is a book that will inspire and empower you to find joy in motherhood. It will also equip you with wisdom to help you discern what is really important, and to help you help your children thrive. Moms, if you want to raise your children to lead purposeful and significant lives, do not miss out on this book. Order your copy now. Affiliate links are included in this post. Using these links, I earn a small commission at no additional cost to you.